Self-Cleaning Water Heaters: How Do They Work (and Are They Worth It)? Flushing your water heater on a regular basis is a necessary and time-consuming job. Thankfully, many modern water heaters feature self-cleaning capabilities to make your life easier. 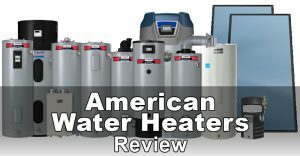 There are a few things you should know about self-cleaning water heaters before investing in one, however. What is a Self Cleaning Water Heater? Self cleaning water heaters use water circulation to filter out sediment, reducing the frequency in which you have to flush the system. It doesn’t completely eliminate sediment buildup, but it can remove the vast majority. You can get self-cleaning models in both electric and gas. Note that there are both advantages and disadvantages which should be taken into consideration. These are mostly related to how these devices function. On the surface, a self cleaning water heater looks and functions in much the same way as their standard counterparts. The difference comes in the form of a dip tube with a special fitting that stirs the water near the bottom of the tank. Water enters through the cold water intake pipe, carrying sediment along with it. Once in the tank, these unwanted materials sink to the bottom, reducing the heater’s efficiency over time. The tube ensures this sediment continues to swirl around in the tank, allowing it to be sucked out the next time you turn on a hot water tap. This can be a rough question, breaking down to three basic topics: cost, effectiveness, and health concerns. Depending on your personal needs, these topics will either be pros or cons. The initial cost is higher than a standard water heater, but this cost will be offset over time by energy savings since the heater will be operating at peak efficiency. And since time is money, you won’t be needing to flush your water heater as often as you used to. As mentioned before, a self cleaning water heater greatly reduces sediment buildup but it is not 100 percent effective. However, you will need to flush the tank about once every three years, as opposed to every six months to one year. Cold water remains potable, but the sediment (mostly calcium carbonate) will be flushed out through your hot water tap, making the water harsher on your skin. Some say that hot water coming out of your faucet should be filtered prior to drinking but that’s debatable since all water coming out your faucets contains tiny amounts of sediment even with a regular water heater. Having a tap filter can help with this side effect to some degree if you’re worried about it. Even with a self-cleaning water heater, you’ll want to drain and flush it from time to time. But did you know there are other cleaning tasks that can help improve your water heater’s lifespan? The following important tasks are often overlooked but can all increased your heater’s lifespan, efficiency, and safety factor. Water heaters use an anode rod to attract harmful particles that would otherwise eat away at the heater’s inner lining. It should thus come as no surprise that checking the anode every six months is important, even if you have a self-cleaning model. Once that anode begins to look heavily corroded, spend the price of lunch to buy a new one. You may also want to replace the original anode rod with a longer lasting version or even a powered anode which doesn’t need replacing. As shocking as it may seem, having a water heater in your basement or garage could mean it’s exposed to dust buildup. 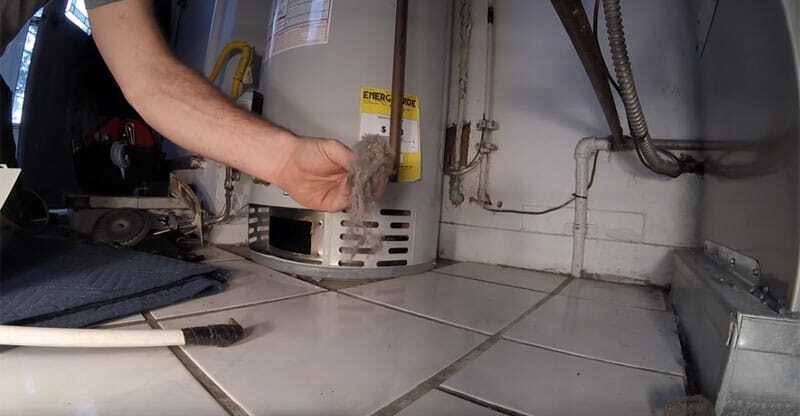 Not only is this unattractive and bad for asthma and allergies, it can also clog up components and affect the efficiency and lifespan of your heater. Using a shop vacuum, remove any visible dust or dirt from the tank’s surfaces and underneath. You might also want to shut the heater off and carefully vacuum out the heating elements and other mechanical components. Dirt on the casing can be cleaned off using a dry cloth. A touch of Windex or other window cleaner will work well against tough spots. As with most maintenance tasks, this should be performed on an annual basis. As mentioned, a self-cleaning water heater doesn’t have to be flushed as often, but will still need it once every three years or so. Flushing one of these is no different than on a standard model. You might need to flush more often for well water with a high mineral content. It is always a good idea to shut off the heater and allow its contents to cool for several hours before performing a drain and flush to reduce the risk of burns.